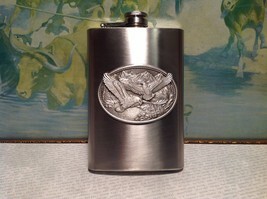 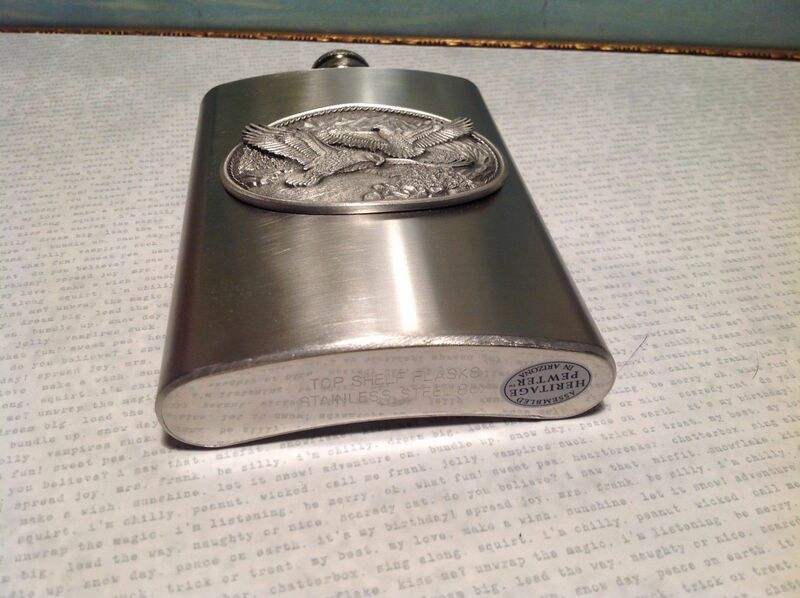 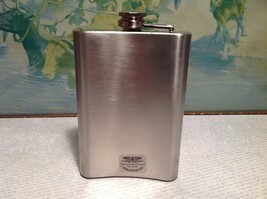 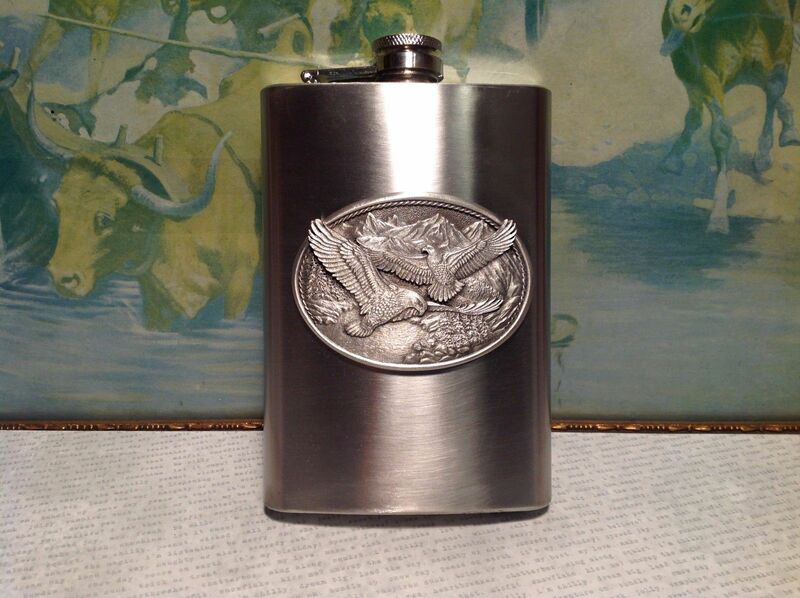 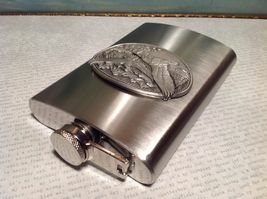 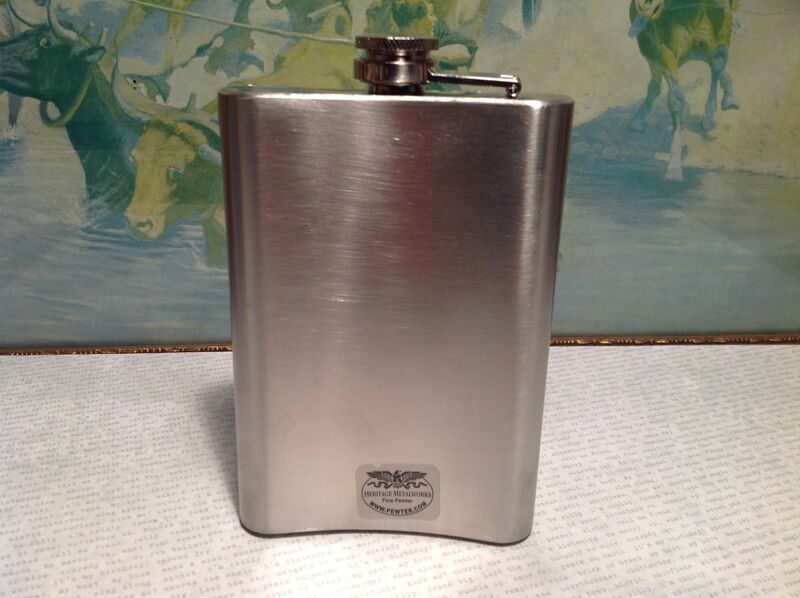 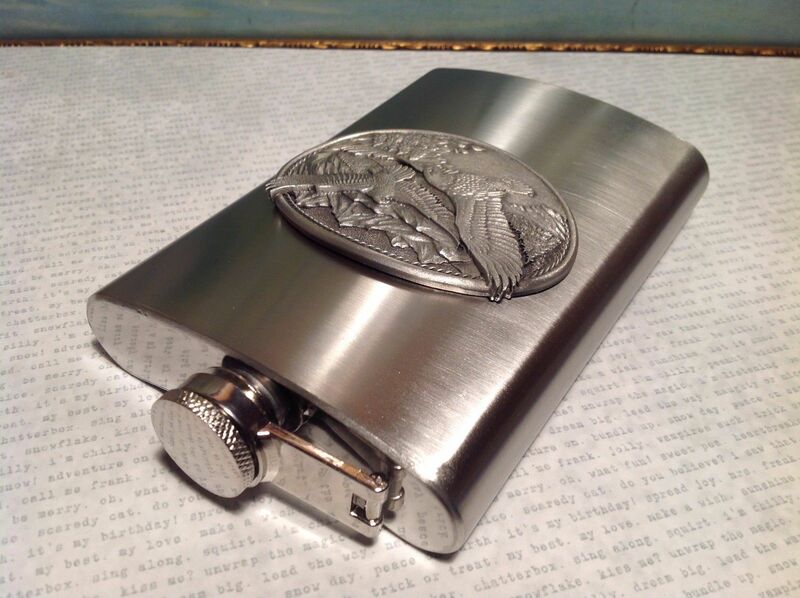 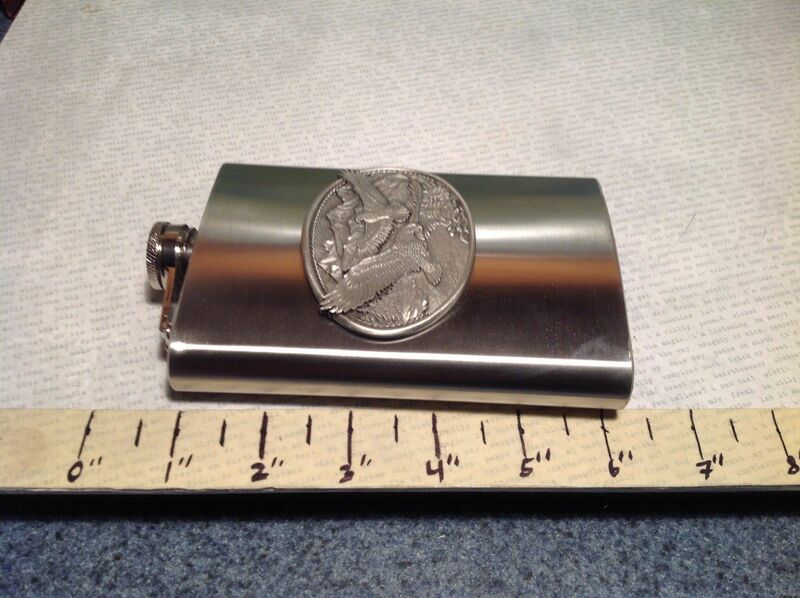 Heritage Metalworks pewter 8oz stainless steel flask with engraved eagles/birds and mountains. NEW!! 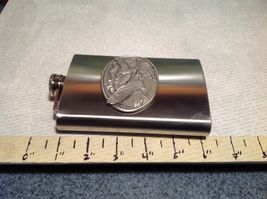 3.75" x 1" x 5.75"